Junkies, here’s the skinny on our next release. Hunter Hunterson & Sons War Journal Vol. 1 is in production and should be available soon, both in eBook and as an audiobook. We want to get ahead of the game and let you know what’s what, in case you already have all these stories. 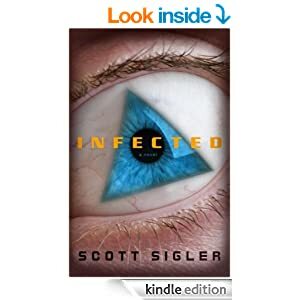 Hard to beat Book I of the INFECTED Trilogy for just $1.99 fer yer Kindle. That’s some good pricing right there.What? You already have it? Well, sir or ma’am, you can gift it to anyone you know for that same lousy $2. Spread the Stank, suckas. A short review of the DVD for ROSEMARY’S BABY, the 2014 made-for-TV miniseries remake of the 1968 classic. If you’ve never seen the original, I highly recommend it. Based on the 1967 novel by Ira Levin, ROSEMARY’S BABY tells the tale of a struggling young couple that move into a hoity-toity Manhattan apartment building.